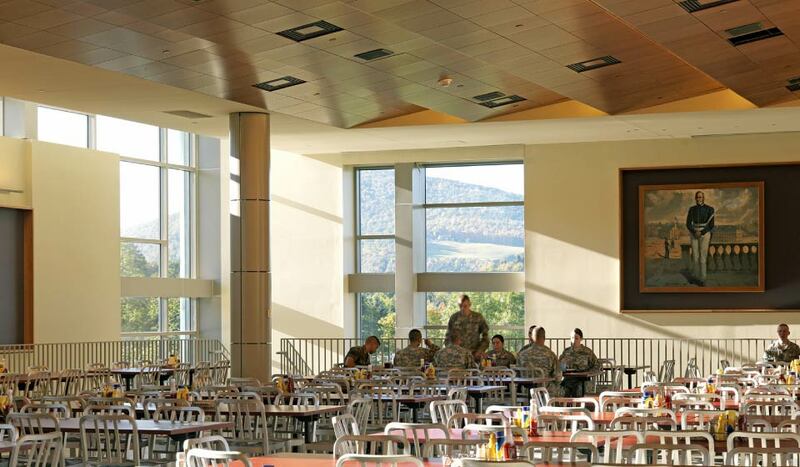 The award-winning Wise Campus Center acknowledges and respects the historical character of Norwich University’s traditional campus, drawing material and formal inspiration from existing buildings. A large, highly visible portal to the west frames activity within and identifies the building as a primary gathering space. The building becomes a symbolic gateway to the campus. 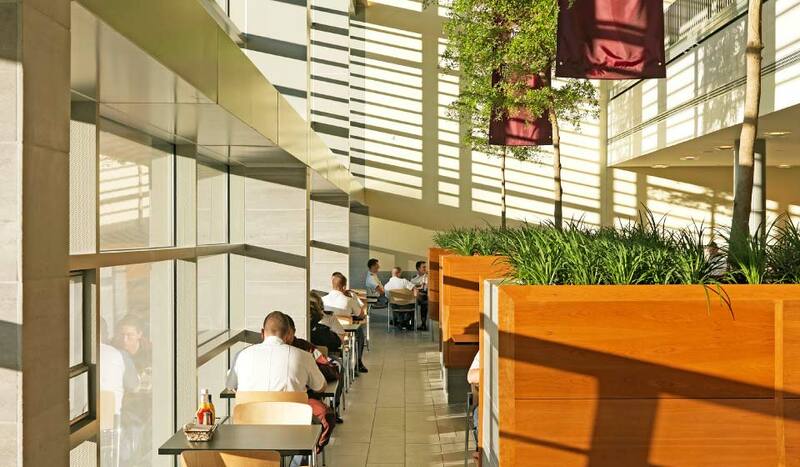 A winter garden links interior and exterior dining spaces, subtly referencing the University’s heritage of integrating academic and natural worlds. 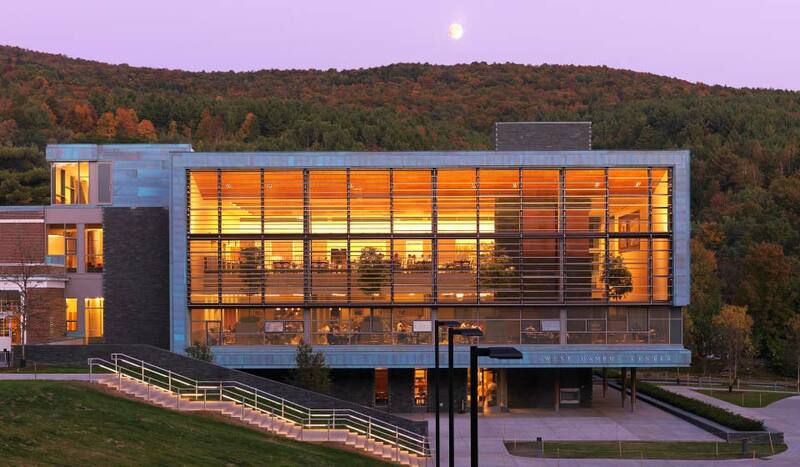 The design team and owner worked closed with Efficiency Vermont, a state agency responsible for energy efficiency, to secure subsidies and ongoing rebates for elements of the campus center. Funding opportunities range from the broad (overall energy performance) to the specific (light fixture and exhaust hood specification). Integral strategies also play a role in the building’s sustainable agenda, including external and internal shading devices and deep overhangs designed to moderate light throughout the year.